Gryazev-Shipunov GSh-18: The GSh-18 is a short-recoil-operated, locked-breech pistol with a polymer frame and a stamped-steel slide that has a separate breechblock insert. It uses a rotating barrel with 10 radial lugs to lock it to the slide. This provides an extremely strong lockup, which is necessary to fire high-pressure 7N21 and 7N31 loads. The trigger is a double-action-only (DAO) design with a pre-cocked striker (like a Glock). The pistol has no manual safeties, and it’s equipped with an automatic trigger safety and a firing pin block safety. The magazine release button is at the base of the triggerguard. The small hole at the front of the triggerguard, which initially puzzled many observers, is used to mount a proprietary laser-aiming module. The front sight is mounted on the slide, and the rear unit is mounted on the removable breechblock, which is set into the rear of the slide. Makarov PMM-12: The Makarov PMM-12 is based on the proven PM pistol and features a redesigned grip that accepts double-stack, 12-round magazines. The slide shape is simplified to reduce manufacturing costs. Early PMM-12 pistols also featured spiral grooves in the chamber, which were necessary to slow the breech from opening too quickly when firing high-pressure PMM ammo. When Russian officials decided to retire all 9x18mm PMM ammo as unsafe, production of PMM-12 pistols continued with plain chambers suited only for standard 9x18mm ammo. Mechanically, PMM-12 pistols are similar to old PM pistols, featuring the same simple blowback-operated action, all-steel design and double-action/single-action (DA/SA) trigger with an exposed hammer and a manual safety/decocker on the slide. 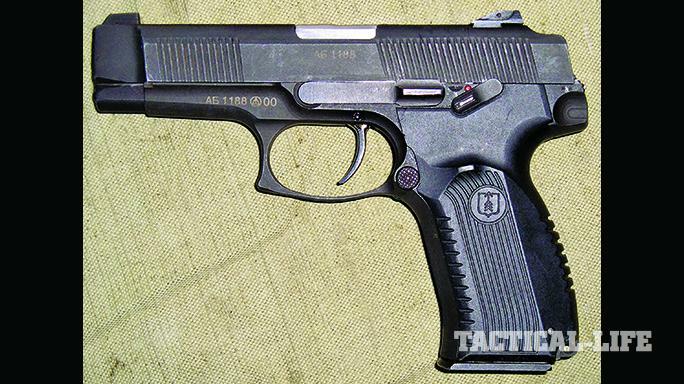 Serdyukov SPS/SR-1M Vector: Interestingly, this pistol gets mixed reviews. It’s well liked by many users for its serious penetration and effective range, as its 9x21mm SP-10 AP ammo can penetrate U.S. NIJ Class IIIA body armor at 50 meters and still retain enough power to cause lethal damage. It’s also very effective against car bodies and windows. On the other hand, it’s distinctly user-unfriendly, with a trigger and grip safety of questionable shape. The trigger arrangement is also somewhat unusual. It’s a traditional DA/SA unit but has no safe decocking facilities or manual safety. It also has no manual slide-stop release, and the internal slide stop is disengaged automatically when a fresh magazine is inserted in the grip. 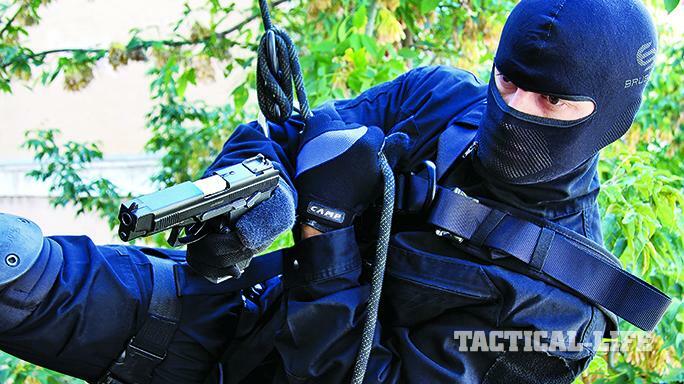 The pistol requires more training and care during handling than most other combat pistols of modern design. The SPS is a short-recoil-operated, locked-breech design that uses a modified Walther P38/Beretta 92 locking system with a vertically tilting locking piece. Unlike most short-recoil-operated designs, the SPS has its slide-return spring located around the barrel. The rear end of the spring rests against a special annular spring rest that’s connected to the frame and does not move on recoil. The frame is a composite design. Its top is made of ordnance-grade steel while the grip and triggerguard are made of polymer. The trigger has a built-in trigger safety. Yarygin PYa: After examining this gun—also known as the MP-443 Grach—you might think it was designed in 1975 and then shelved for next 20 or 30 years. 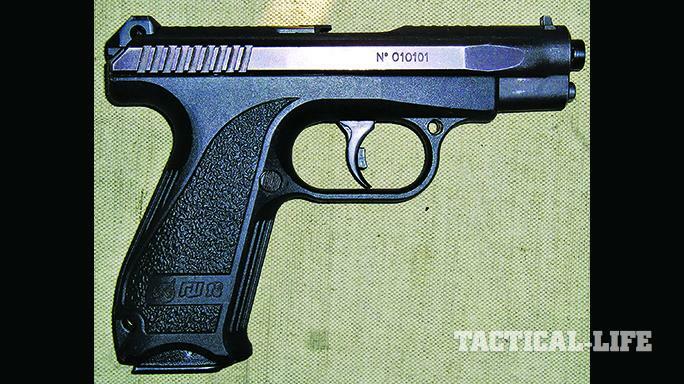 Thanks to its all-steel construction, this pistol is quite heavy by modern standards. The surprising lack of a safe decocking mechanism, combined with an unusual semi-concealed hammer (which is protected from both sides by rear slide extensions), makes handling this weapon a little less safe than might be desired. This is especially surprising, as most of the local users are used to the integral safety/decocking arrangements of the Makarov PM and Stechkin APS pistols, and “cocked-and-locked” carry is not authorized in current Russian military manuals. However, this pistol is very durable and reliable, as you might expect from a weapon that passed Russian testing. It’s also reasonably accurate and strong enough to fire the newest 7N21 AP ammunition, which generates significantly higher pressures than any 9x19mm rounds. The PYa is short-recoil operated and uses the modified Browning-style locking system. 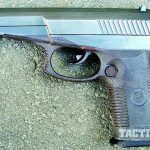 The pistol is made from ordnance-grade steel, except for the polymer grip panels and the barrel, which is made from stainless steel. The trigger is a DA/SA unit with an exposed hammer. Ambidextrous safety levers are located on the frame. While the more traditional DA/SA Yarygin PYa (left) passed military tests, the striker-fired Gsh-18 (right) did not. The Russian Ministry of Defense and Ministry of Internal Affairs officially adopted the newer 9x19mm Yarygin PYa pistol in the early 2000s. Left to right: 9x18mm PPO FMJ, 9x19mm FMJ, 9x19mm 7N21 AP, 9x19mm 7N30 AP, 9x19mm 7N31 AP, 9x21mm SP-10 AP and 9x21mm SP-11 JHP. The Russian Federation emerged as an independent state in 1991 after the collapse of the Soviet Union. It inherited most of the Soviet military and industrial potential as well as most of the problems that led to the ultimate failure of the socialist state. Among those problems were serious issues with organized crime, the economy and nationalist movements in various parts of the multi-national country. At that time, the newly established Russian army and various law enforcement organizations were using weapons of the Soviet era. The most widespread soviet pistol was the Makarov PM, which was a standard-issue handgun of the military, police and state security forces. Others included the Stechkin APS (in very limited use, mostly by Spetsnaz) and the PSM. • A modular pistol designed in Izhevsk by Zarochintsev. This 9x18mm pistol, known as the Grach-1, used a blowback-operated action. • A locked-breech pistol designed by Yarygin in Izhevsk, known as the Grach-2 for the trials. 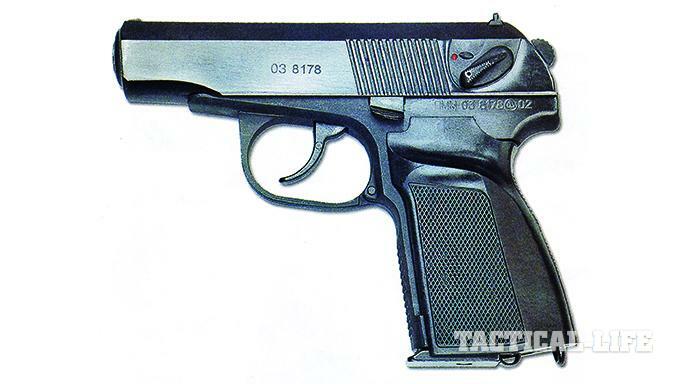 • A modified Makarov PM pistol, also designed in Izhevsk by Shigapov. This pistol, known as the Grach-3, used a high-capacity magazine and fired improved 9x18mm PMM ammunition. 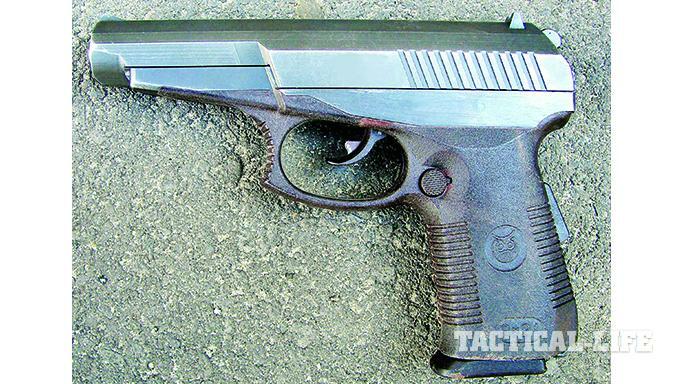 • A multi-caliber, blowback-operated TKB-0220 pistol designed in Tula by Stechkin and Avraamov. 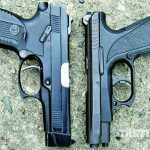 • Two polymer-framed pistols, designed in Kovrov by Serdjukov: one with a locked breech and chambered for the powerful 9x21mm RG-052 armor-piercing (AP) ammunition and another with a delayed-blowback action chambered for the 7.62x25mm or 9x19mm. As you can see, the military wanted a handgun designed to use a cartridge more powerful than the existing 9x18mm PM. 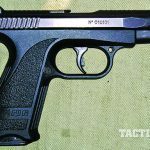 But the souped-up 9×18 PM Modified (PMM) round was soon abandoned because of the inherent dangers of using +P+ rounds in old and often worn-out pistols designed for standard-pressure 9x18mm ammunition. However, a modified version of the PM, known as the PMM-12, was manufactured for quite a while to make use of existing stocks of 9x18mm ammo. PMM-12 pistols were issued mostly to law enforcement units. 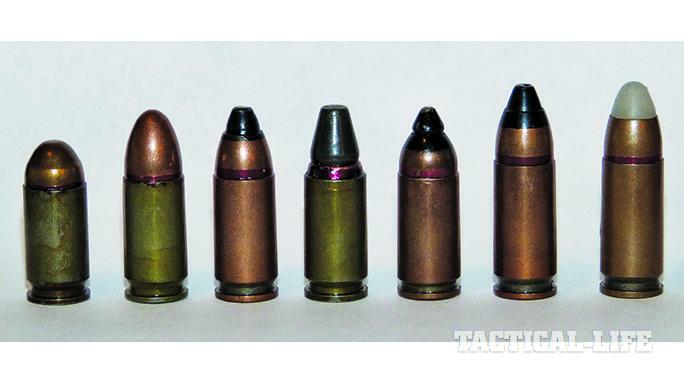 That left two indigenous rounds—the ubiquitous 9x19mm and the slightly more powerful 9x21mm. Both rounds were supposed to be issued primarily with AP bullets featuring hardened steel-core penetrators at the tip of each projectile. 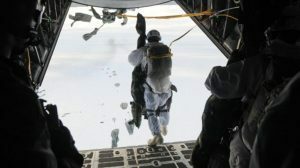 The army and police preferred the 9x19mm, and the Federal Security Service (FSB), for some reason, decided to sponsor development of the new 9x21mm round. 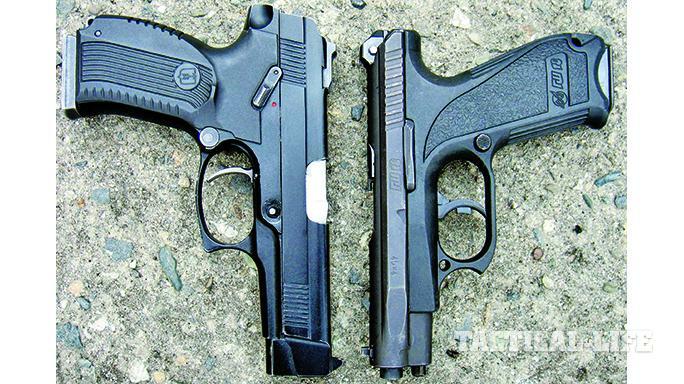 As a result, in the early 2000s, the Russian Ministry of Defense and Ministry of Internal Affairs officially adopted the new 9x19mm Yarygin PYa pistol as a replacement to the venerable Makarov PM. A little later, the FSB adopted the 9×21 SR-1 pistol, which later found its way into the armories of some MVD (police) units across Russia. 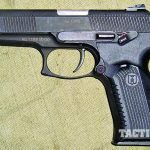 In 1996, another player decided to try the service pistol arena: the KBP design bureau from Tula, which specializes in high-tech armaments such as automatic cannons, guided missiles and other expensive and destructive gadgets. 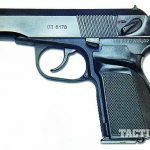 What started as a private concern resulted in the development of one of the most promising and modern service pistols in Russia, known as the GSh-18. After a long development period, it was finally adopted by the MVD and is now issued in limited numbers to some SWAT-type units. The pistol is interesting because it was designed to fire proprietary ++P++ rounds—extremely high-pressure 9×19 ammunition with light, fast AP bullets. Therefore, it features an exceptionally strong locking system and can handle almost any 9x19mm load. 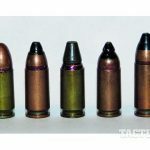 Because of large stocks of remaining 9x18mm pistols in police use, a new type of 9x18mm ammunition was recently introduced into service with the MVD. Designated as the 9x18mm PPO, it features low-ricochet, lead-core FMJ bullets, as opposed to standard 9x18mm, which use bullets with lead and steel cores. Besides these major players—which still have not replaced Makarov PM pistols across the vast Russian Federation—there were other, less successful ones. These included a pocket-sized P-96S in 9x17mm (.380 ACP) and 9x18mm; the OTs-23 Drotik (dart), a spectacular burst-firing machine pistol firing tiny 5.45x18mm ammunition, and its larger-caliber cousins, the OTs-27 (9x18mm and 9x19mm) and select-fire OTs-33 (9x18mm); and several commercial pistols, only one of which has survived: the 9x19mm Viking, a polymer-framed version of the Yarygin PYa pistol. Finally, I should mention the privately developed Strizh/Strike One pistol, a joint Russian and Italian development that faced political complexities in Russia and is now produced in Italy. But scroll through the gallery above to get a closer look at some of these post-soviet pistols.